H.W. 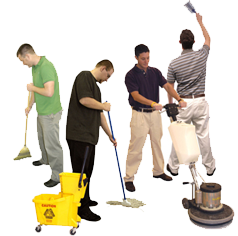 & Associates Janitorial Services is an industry leader with over 27 years experience. Customer satisfaction, superior service and sound quality built our reputation. Our services range from complete office, retail, medical and industrial cleaning to temporary Building operators and Superintendents. H.W. & Associates is a member of the following organizations: BACAI, BMCA, CSSA.